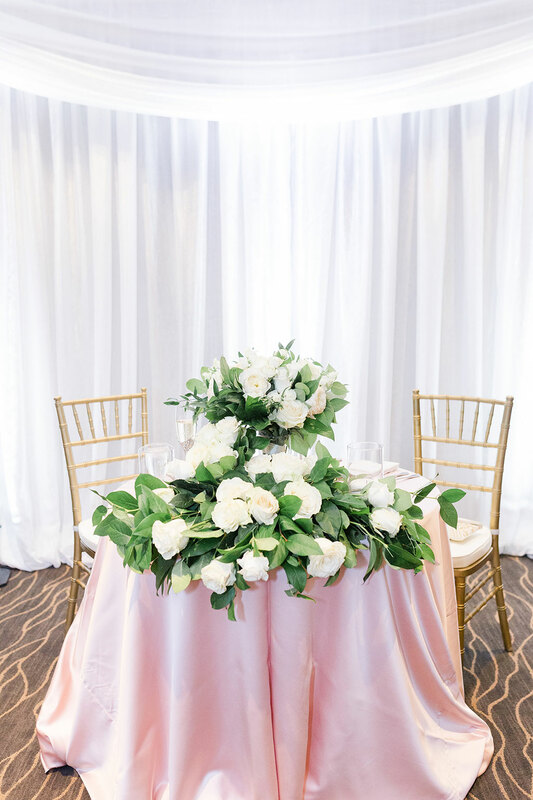 Sitting Pretty Linens – Specialty Linens, Backdrops / Draping and More! 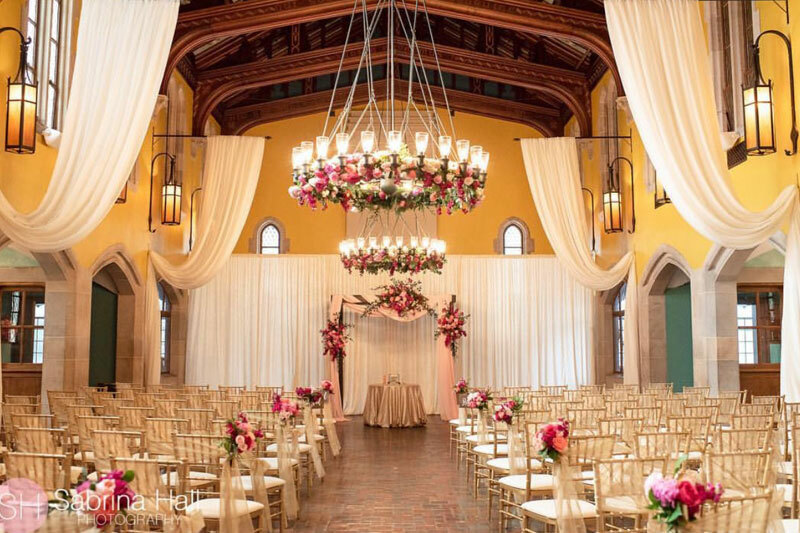 Rental of Specialty Linens, Backdrops / Draping and More! 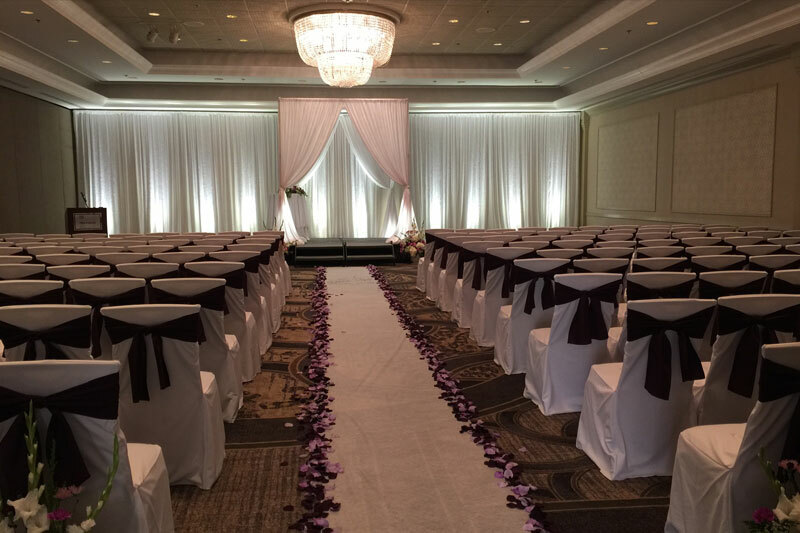 With over 20 years of experience in the NE Ohio specialty linen rental business, Sitting Pretty Linens is your go-to provider for full-service rentals. We pride ourselves on not only our wide selection of products but also the quality of products and services provided. 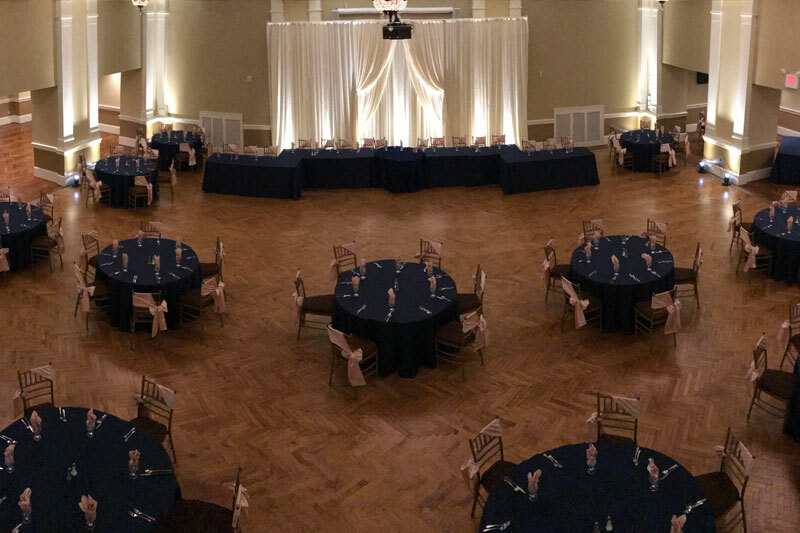 Sitting Pretty Linens is a family owned and operated company that offers top-notch customer service from your first email to your final detail, allowing you to relax and enjoy your event. Please call or email us to schedule an appointment to visit our showroom in Akron. Rental of Backdrops, Ceiling Treatments & Fabric Draping. Custom Colors, Fabrics, Sizes & Styles (Mandaps, Chuppahs, Etc.). Rental of Custom-built Arches / Faux Fireplace / Etc. Please check with show host / event venue for registration details & fees! Thank you so much for the absolutely perfect backdrop and chandelier for our wedding! It was beyond gorgeous – we knew it would be, coming from Sitting Pretty! You both are wonderful to work with! We want to thank you so much for making such a beautiful background to our head table! It was everything we pictured and it added such a beautiful touch to our special day! Thanks for everything!! Amanda was the most efficient vendor I worked with. She communicated quickly and always was one to two steps ahead of me. She anticipated my questions and concerns which was important because I wasn’t entirely sure of what I wanted… Amanda offered to meet and communicate with the venue independently of me to get everything set up. I ended up going, however and was so impressed by her personality and professionalism. It was apparent to me that she cared about my wedding and helping me to achieve my perfect day even though I was only hiring them for a few small things. 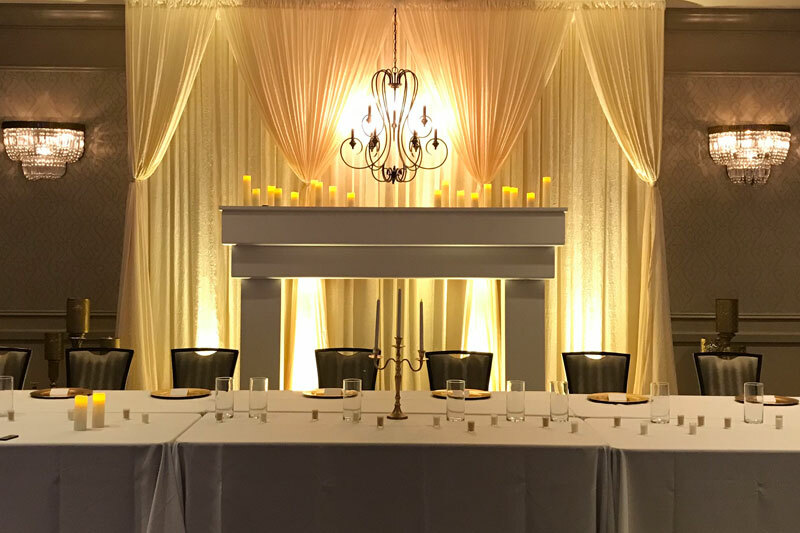 The backdrop effect for our sweetheart table was perfect and created the fairytale vision I hoped for. I loved working with Amanda at Sitting Pretty Linens and she never made me feel inadequate for contacting her 2 months out from the wedding date (because issues with other vendors fell through). I would highly recommend contacting them for any linen or backdrop needs. Working with Amanda made our daughter’s wedding day perfect. The backdrop and up-lighting were spectacular. When the doors were opened and you looked into the reception area, her set up just lit up the room. During our planning, Amanda was quick to respond to ANY questions we had. Not sure when we will have another opportunity to use her services again, but if we do, she will be our only call. Thank you Amanda! Thank you so much for all of your hard work, planning and organization to make every linen-related detail of our wedding day just perfect! Our guests remarked how wonderful the lit backdrop was in our Park Lane Ballroom reception. Thanks for all that you did to help make it such a special day for us! 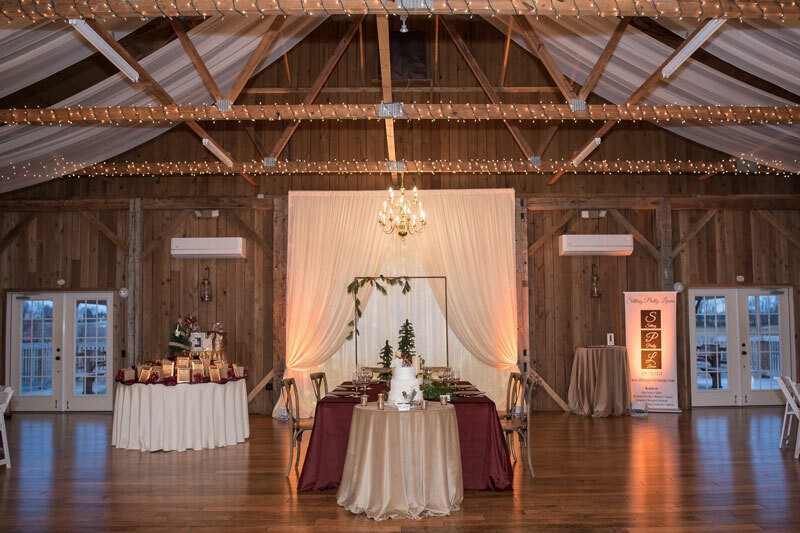 Amanda and SPL provided BEAUTIFUL backdrops, ceiling treatments, chandeliers, and linens for our wedding at Brookside Farm. She was professional every step of the way, very prompt with her email correspondences, and simply a joy to work with. Sitting Pretty Linens offers the perfect addition to help your vision come to life whether it’s rustic, vintage, glitzy, or ritzy that you have in mind. Amanda worked with me to ensure she could pull off the look I wanted and it turned out better than I could have imagined. There are other companies who may offer some similar products, but I can ensure that you won’t find anyone more professional, kind, and skilled at this type of service. 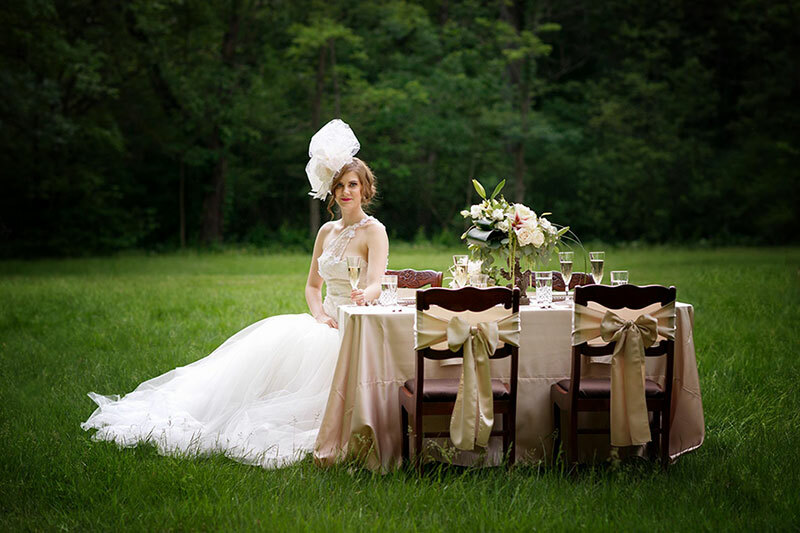 The professionalism and kindness made all the difference during the wedding planning process. I could not recommend SPL enough!! Thank you so much for all your help and guidance through our entire wedding journey. The linens and lighting looked outstanding, pure perfection! Sitting Pretty is the absolute best. I would recommend them hands down to anyone for any occasion. We had this vision of having all the blinds wrapped with a pretty white fabric and they made it happen and totally blew our expectations. Very flexible and professional company!! Our day would have not been the same with out them!!!!! Thank you for the beautiful mandap. It looked fabulous, and we owe it all to you and your team! The table linens were gorgeous, as well, and Sitting Pretty comes with our highest recommendation. I just wanted to say I was completely blown away by y’alls work! Everything looked absolutely amazing. I am so grateful to have worked with such an awesome yet personable vendor team. Thank you for doing what you do and for bringing my wedding to life! It was beyond perfect! Thanks for all the love and support through the planning process! Create YOUR vision with Sitting Pretty Linens!! Showroom consultations by appointment only! © 2019. Sitting Pretty Linens. All Rights Reserved.